Eric Dufour has a specialized competition law practice with expertise in foreign investment review. He provides transactional, litigation, and general compliance advice under the Competition Act (Canada) and the Investments Canada Act. conducting competition law audits and designing compliance programs for corporate clients and trade associations. preparing submissions to and negotiating with the Investment Review Branch of Industry Canada. Eric regularly deals with the Competition Bureau and Industry Canada’s Investment Review Division, and has also acted as counsel in matters involving commercial disputes, class action proceedings, commercial torts, civil actions under the Competition Act, and contracts. Eric has extensive experience with clients in diverse sectors including financial services, transportation, electricity, publishing, oil and gas, forestry, metals, communications, advertising, food and beverage, manufacturing, retail, and information technology. 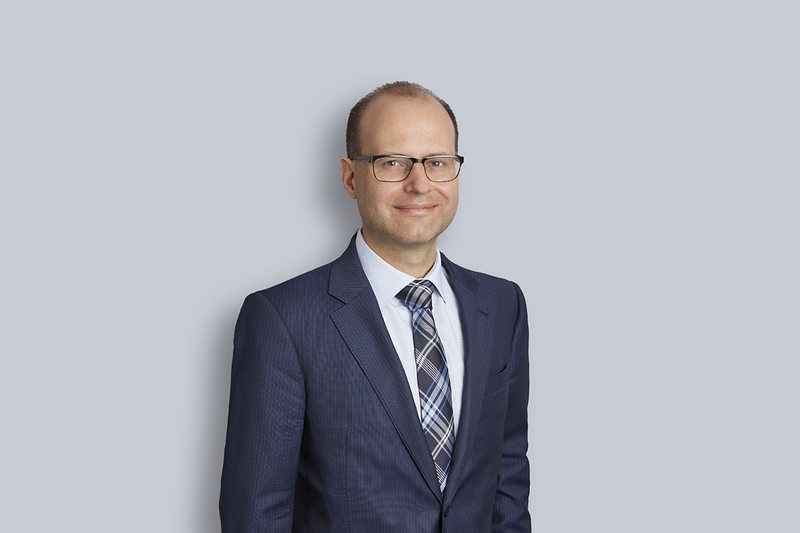 Prior to joining Miller Thomson, he worked in another leading competition law group in Toronto and has also worked in the Mergers Branch of the Competition Bureau. Alcoa Inc. / NAMD Inc.
Best Buy Co. Inc. / Future Shop Ltd.
McCain Foods Limited / Charcuterie de Bretagne Inc.
McCain Foods Limited / Wong Wing, Inc.
Northland Power Income Fund / Northland Power Inc.
Psion PLC / Teklogix International Inc. Tale & Lyle North American Sugars Ltd. / Westway Holdings Canada Inc.
Service Corporation International / Alderwoods Group, Inc.
Masterfeeds Inc. / Ridley Inc.
Kraus Group of Companies / Hilco (UK) Ltd.
Powerstream Inc. / Barrie Hydro Distribution Inc.
Novell Inc. / Platespin Ltd.
Texaco Inc. / Chevron Corp.
PrimeWest Energy Inc. / Cypress Energy Inc.
L-3 Communications / Wescam Inc.
Norwich Union Holdings (Canada) Limited / American International Group, Inc.
Conagra Grocery Products Limited / Artel Inc.
Agrifoods International Cooperative / Saputo Inc.